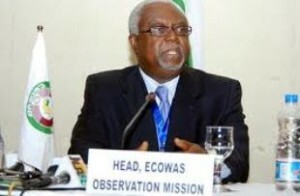 The ECOWAS Commission is to deploy 100-member Election Observation Mission headed by former Liberian Interim President, Prof. Amos Sawyer to monitor Togo’s 25th April 2015 Presidential elections. 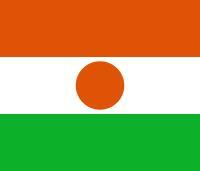 Twelve Long-term observers, which are part of the larger Mission, and made up of experts in various disciplines, including conflict prevention, election operation and analysis, as well as security, gender and media specialists are already in Togo. Upon arrival, the Long-term observers have met with Togo’s Independent National Electoral Commission, CENI, officials of the Ministry of Foreign Affairs, and will be deployed to the country’s five regions, namely Maritime, Plateaux, Central, Kara and Savannes, for consultations with relevant stakeholders at the regional level.The team will observe the pre-election processes including electioneering campaigns and prepare the ground for the arrival of the larger observation mission on 20th April. The entire regional observation Mission will be supported by an ECOWAS technical team from the Departments of Political Affair and Early Warning. It will have a dedicated web portal, and a Situation Room to serve as its Secretariat for briefings on the situation and the collection of data on the electoral process. The deployment of election observation mission by the Commission is consistent with provisions of the regional Protocol on Democracy and Good Governance and support to Member States holding elections.